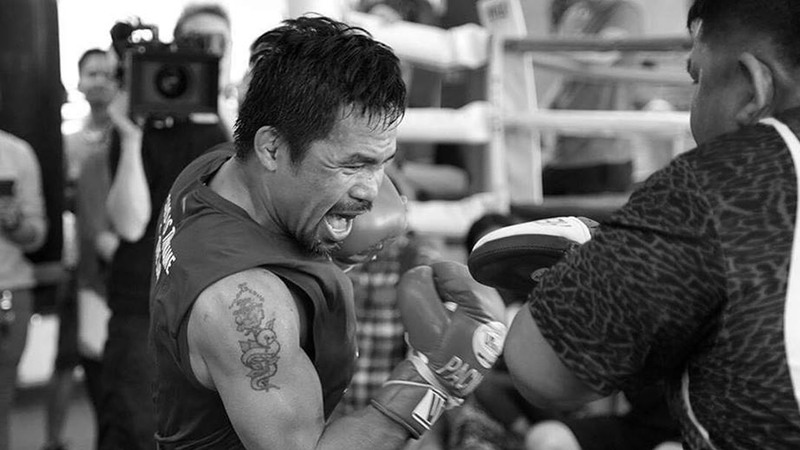 The latest success of world champion Manny Pacquiao over Adrien Broner in their “Return to Vegas” title fight last Sunday provides inspiration to Filipino boxers to train longer, work harder, and fight better to achieve their dreams of bringing honor to the country. 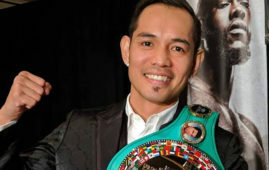 World Boxing Council (WBC) Asia super featherweight titlist Al “The Rock” Toyogon and World Boxing Association (WBA) Asia bantamweight champion Carl Jammes “Wonder Boy” Martin said they will do their best like Pacquiao in their coming title fights against highly-rated foreign opponents. The two young but talented Filipino fighters made the assurance during their appearance in the 7th “Usapang Sports” presented by the Tabloid Organization in Philippine Sports (TOPS) at the National Press Club in Intramuros on Thursday. “Basta gagawin ko po ang lahat ng aking makakaya para manalo (I will do my best to win),” said Toyogon, who is set to defend his title against Ryusei Ishii of Japan at the Elorde Sports Center in Parañaque on January 26. “Mabigat din po ang kalaban, pero tiwala lang. Laban lang dahil ayokong bibiguin ang mga kababayan natin na manonood (My opponent is tough but I have to fight because I don’t want to disappoint our countrymen),” said Martin, who will put his title on the line against Petchchorhae Kokietgym of Thailand at the Midas Hotel in Pasay City on February 16. 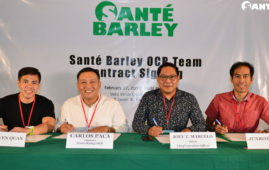 The two Filipino champions, who guested in the weekly sports forum also supported by the National Press Club, claimed they have prepared long and hard for their coming title fights with the help of their respective trainers. Toyogon, the 20-year-old pride of Gingoog City, Misamis Occidental, will climb the ring as the favorite over Ishii in the mainer of a blockbuster card billed “Night of Champions XV!” put up by well-known promoter-matchmaker Bebot Elorde. Nicknamed “The Rock”, Toyogon boasts of a ring record of 9-2-1, including six by knockouts. He made his debut with a technical knockout victory over Rex Merceno in August 2015. He also won all his four fights last year, including one against Naotoshi Nakatani of Japan in February. His opponent, Ishii, has a 7-4-1 record, all against fellow Japanese fighters. On the other hand, Martin, a native of Lagawe, Ifugao, will also carry a handsome record of 65 wins as an amateur and 11 wins as a pro when he tests the mettle of Kokietgym. As a pro, the 19-year-old Martin carries an impressive 11-0 win-loss record, including 10 by knockouts. He won the title with a fourth-round knockout of Moon Chul Suh of Korea on October 27 last year. World Boxing Council Diamond super bantamweight. 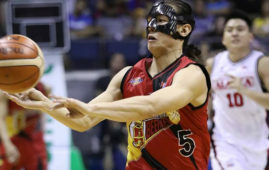 Alex Cabagnot was slapped with a. The Philippine Beach Games will return.